We’ve been longtime fans of the spirits released by Plantation Rum. The line comes from the same company that produces Pierre Ferrand Cognac and is blended by the same folks who work on the cognac. 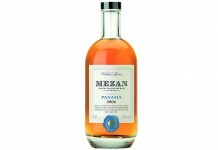 For their Plantation Rum line, Cognac Ferrand buys amazing rum from a variety of rum producing islands and then blends and ages the rum in cognac barrels in France. The results have been nothing short of spectacular. Plantation 3 Stars White Rum (41.2%/82.4 proof, $24.99 for 1 litre bottle) is the first white rum from Plantation. It’s a blend of rums from Barbados, Trinidad, and Jamaica (which just so happen to be three of our favorite rum producing islands). The blend actually consists of a 3 year old Trinidad rum, unaged Barbados, unaged Jamaican, and a 12 year aged Jamaican rum. The nose on the Plantation 3 Stars Rum clearly reflects the rums present in the blend – vanilla cream, marshmallow, banana, and soft cocoa delivered from the Trinidad rum; soft tropical fruit notes coming from the Barbados rum; and deep brown sugar and funk notes from the Jamaican. The nose on the 3 Stars is nothing short of seductive. The entry of the Plantation 3 Stars is full and flavorful with clear molasses notes combined with vanilla, light cocoa, banana, and a slightly grassy sugar cane note. Deep brown sugar jumps into the mix in the mid palate along with the slightest hint of some funk. At the end of the midpalate things get slightly spicy with an oak spice note combining with pepper supported by a subtle funk . The finish is solid with nice spice and a lingering vanilla and sugar cane note that sticks around on the palate for quite some time. The mouthfeel of the Plantation 3 Stars is interesting, starting off thick and fairly lush and then thinning out in the midpalate through the finish. There’s something about the mouthfeel that we aren’t crazy about – perhaps it’s the slightly fatty or oily feeling it has after the finish. It’s clear that Plantation relied heavily on the Trinidad rum for its 3 Stars rum as it the most dominant on the nose and in the taste. 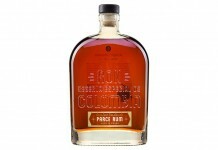 It is balanced well, though, with some of the notes from the Barbados rum and just a dash of Jamaican, whose presence is felt a little more on the nose than in the palate. We would have liked to have seen the Barbados and Jamaican rums shine through a little bit more, especially in the midpalate and finish. 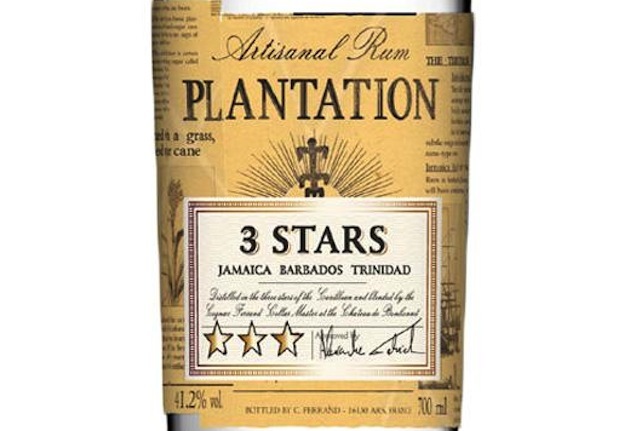 Plantation 3 Stars White Rum has all the essential elements to be a solid mixing rum. In a daiquiri it has enough structure to stand up to the lime, although we found it helped to back away from the sugar just a bit to get the balance right. In Coke the 3 Stars has enough flavor not to get lost and its brown sugar midpalate notes go perfectly with the cola flavors. On its own the rum is a little softer than what we’d be looking for when sipping a rum neat, and from a mouthfeel perspective the rum doesn’t deliver as well as we would have liked. Still, it’s a solid offering from Plantation Rum and ironically, if we were still giving out star ratings (which we don’t), it probably would have landed somewhere in the three star space.